← Baby Turtle – Dead…. 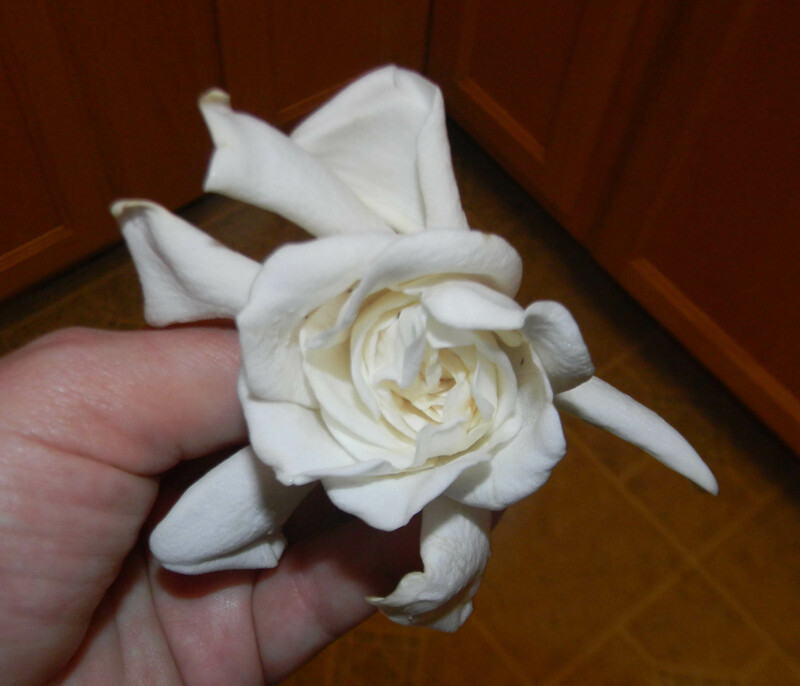 Every year about this time my gardenia bush is blooming and I think “if I could only do something with them”. This year I decided to do some research. There are many recipes on the internet for saving this fragrance in a bottle. I chose the two following recipes because I had the ingredients. I had never heard of Monoi Oil before but it sounds so nice and I can use it to make soap if it turns out. 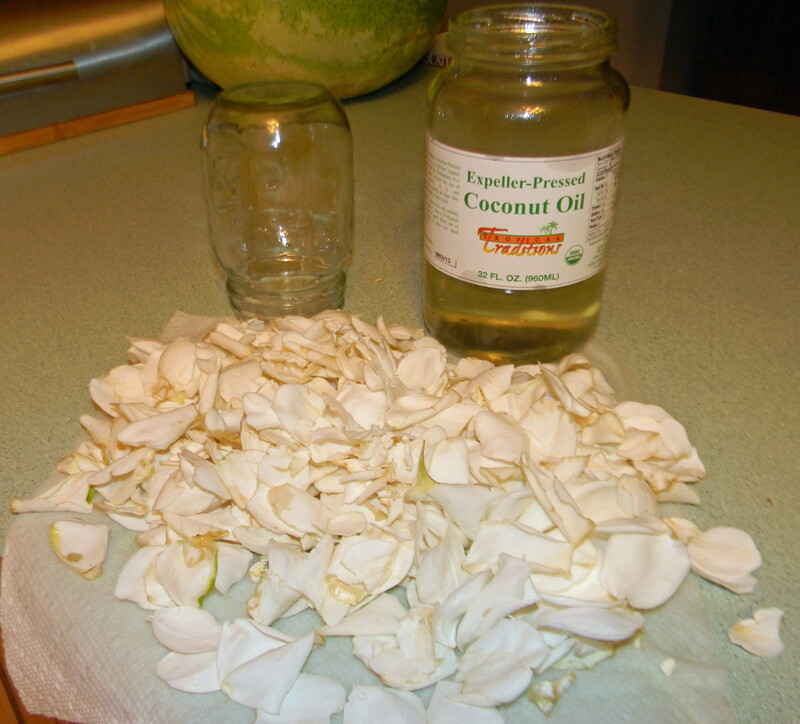 This batch may not turn out as I didn’t let the petals dry all the way before putting them into the coconut oil. 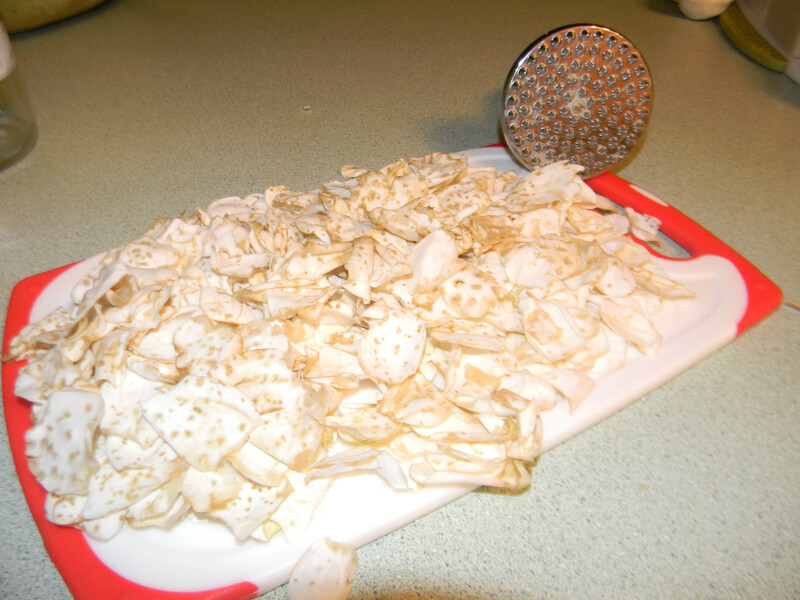 After doing some more research I found the petals need to be dry or they may mold, I need to be more diligent in doing research before making a product, lol. I will start another jar hopefully before my gardenias are gone. My coconut oil should be arriving Tuesday. I will have to wait a month before I know if this recipe works. 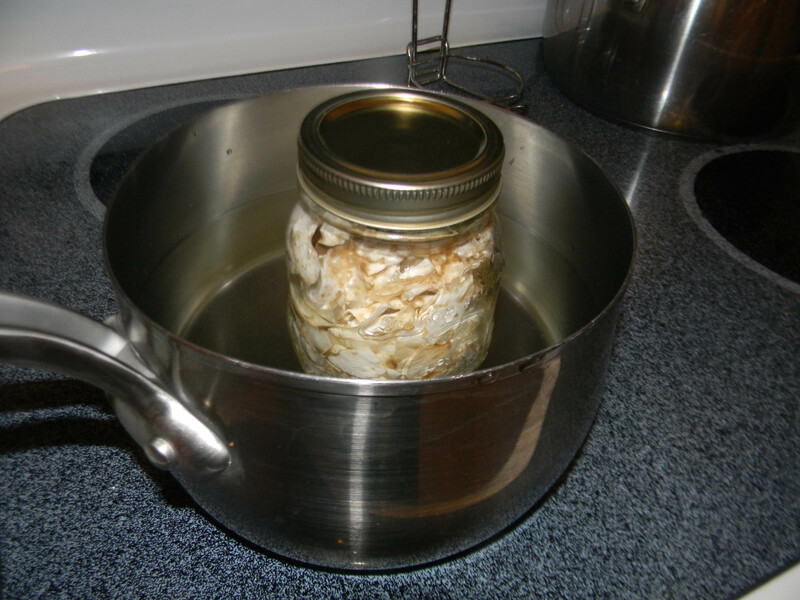 The second recipe is made with almond oil. I have recipes for soap using this oil but I am not sure if when the oil is cooked it will keep the scent. I did not have a mortar and pestle for bruising the petals and the rolling pin idea they suggested did not seem to bruise the petals so I used a meat tenderizer, maybe that was too much? I will get the results of this oil quicker than the Monoi Oil recipe because the jar is heated daily for 7 days in water, changing the gradenias after 4 days. If I want a stronger smell I can change the gardenias again and heat every day for an additional 3 days. I did run across a great video from Mountain Rose Herbs on making oils using dried herbs. If my oils don’t work I may try this. There are two camps in the essential oil world. One says it is not a true essential oil if you use dried flowers or herbs. I figure hey if it works. Mountain Rose sells lots of great herbs and other products. I would love to hear from anyone that has had experience making scented oils and what they use them for. This entry was posted in Gardening, Homemade products, Posts and tagged gardenia soap, gardenias, gardening, handmade soap, homemade oils, homemade products, homemade soap, scented oils. Bookmark the permalink.